We built a tasting room! Come check it out during our Grand Opening. AVALON Silver Rum won a Silver Medal at the 2015 San Francisco International Spirits Competition. This was the highest medal awarded to any American White Rum as well as taking Best of Category at the American Distilling Institute's Annual Conference and spirits tasting. We're on a roll! Now we are actively delivering bottles for tasting to distributors (As far as Mexico) and being picked up by the first ones. More sales to come.. The labels arrived today! The fermentation finished last week. There are no more hurdles between us and filling about 2,000 bottles. Switch on the steam, it's time to make some rum! My mother-in-law has an amazing setting on her camera that makes these beautiful effects. These are of the finished distillery. It's been a long road and we can see the finish line (Start making revenue!). It will have been an entire year without income, a very large amount of out-of-pocket expense, 7 months of approval process overlapped by 4 months of building the distillery, and we are weeks away from shipping. I will be sure to post a link where our product will be available online for all you out-of-state'ers. The artist has painted our 3-D airplane wall. Welcome on board to our distillery! These are the blocks that we made that hold those big steel valves in place. There is only a plastic fitting on the bottoms of the tanks and the weight of this valve + the force it takes to open and close it would likely end up tearing the fitting off the tank. These blocks are left/right adjustable to fit the tanks and stands perfectly. We also put up the guardrails around the top of the deck. We are looking forward to working in such a beautiful area. We've had a bit of progress since the past update. First, we decided to wrap the deck completely around the fermentation tanks. This will be safer for us when we're working up there as well as give us more space to move around. I'm still working on the trim around the tanks and a 4' railing will soon be put around the whole thing. Under the deck, we've positioned a second set of posts to hold a "trough" that will support the heavy valves on the tanks. These valves require a good amount of muscle to open and close and would definitely destroy the bulk head fitting that connects them to the tanks without reinforcement. The trough will hold an adjustable yolk that goes around the valves and that we can secure to the trough when it's properly aligned. Many things have been completed since the last post. The office is now finished, as is the door on the airplane wall. The video security system is in, internet access, the drain tank is secured to the floor, the shop sink is almost done, the stained trim along the top of the rooms is done, 1/2" bolts have been sunk into the wall to finish securing the 6' deck, some of the piping for the tanks has come in, the water systems are in, lots of stuff! The below photos show the finished airplane door (metallic paint) with reinforced steel locks as well as an electric deadbolt and kick-plate. The office is complete. All the trim and paint is done. I'll finish the door tonight or tomorrow and the video display is mounted over the door for the security system (and Netflix). The last photo is of the floor we put in the bathroom. Those are tiles that look like wood. It's a pretty cool design and we will need to upgrade the fixtures and the paint to match. 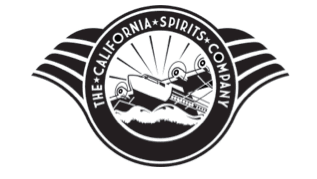 We have received out CA ABC licenses and the TTB is looking like it will be done next week!Just the city left and we're legal to start making hooch! The day began wiring up the security cameras, finishing some telephone line conduit 14' up, and gluing the sink down... then there was a knock at the door! FedEx delivered 1,400lbs of plastic. The tanks are still filthy from the trip. I'll get to cleaning them when we're done running the water and drain lines. The stands were supposed to be solid plastic round stands but instead they sent me metal shaky cheap ones. I've emailed them with the option to refund me the difference or ship the right ones. We cut 2x8's on the long end to go from 1" to 8" to 1" over the 10-foot side. These are the "ribs" of the aircraft. We then riveted (ok, lots of little screws) galvanized sheet steel in an overlapping pattern onto the ribs. We pulled the light switch and the thermostat out to the rounded wall and covered them with outdoor, metal covers. They look like components that might be on the side of a seaplane. The white wall on the left will be painted (professionally... by an artist) to look like a continuation of the plane pulled up to a dock the color of our flooring. We hope to show the windows of the cockpit, the ocean in the background, and a scene right out of the late 1930's at Catalina harbor. We haven't done anything with the door just yet as we aren't sure what to do with it. Check out the photos below and leave a comment on our Facebook site (Link is at the top of the page). Pulling the carpet out wasn't too difficult. The lower trim took some paint and drywall with it but we're going to re-trim it anyway. Below are the before-and-after pictures from removing the million+ years of layers upon layers of carpet glue. It took a solid 4 hours per room to get it back to the bare concrete. This is in preparation for hardwood floors going in this weekend.